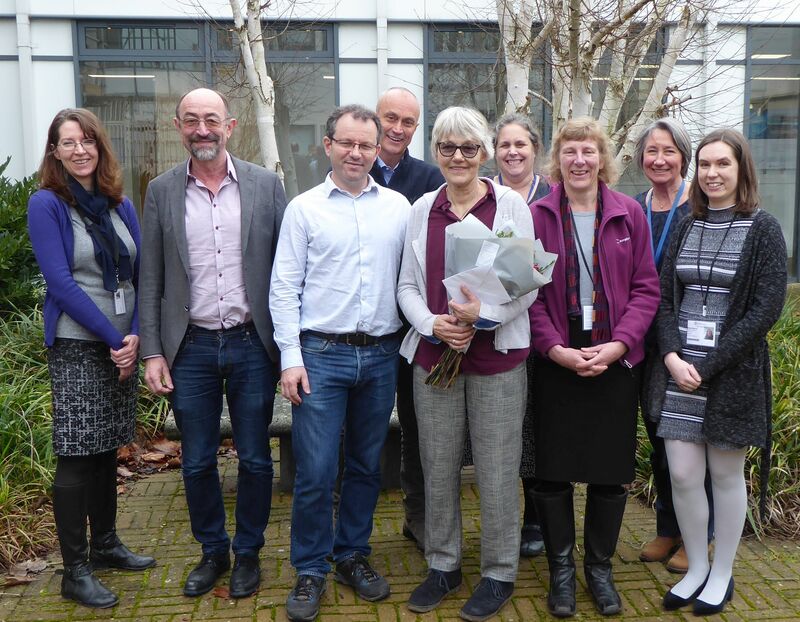 When Frances first began working at the IAHS office in November 1993 it was located in the Institute of Hydrology in Wallingford. The IAHS office was run by Penny Kisby, HSJ Editor was Terence O’Donnell and there were 30 Associate Editors. Her first project was working on HSJ volume 39 (1994) which included only six issues. Papers arrived in the post as hard copy and were typed-up and edited in WordPerfect 5.1. Galley proofs were the next stage, and camera-ready copy was created physically using ‘cut and paste’ methods – laborious but satisfying work! This involved numerous trips to the photocopier in the office next door to correctly ‘size’ figures and tables for paste-up in the proofs. The final stage was then for Alden Press in Oxford to print the finished journal. Frances handled all subscriptions, and HSJ distribution was undertaken by a third party. Volume 39 contained about 700 pages, with 39 articles as well as book reviews and announcements. HSJ entered a new and exciting phase at the Rabat meeting in 1996, when Zbigniew (Zbyszek) W. Kundzewicz was appointed Editor of the journal. It continued to advance technologically as papers began to be processed in MS Word and by 1998 all manuscripts were held digitally on 3.5” floppy disks. By the time 2000 dawned, publishing technology was advancing once more, allowing Frances to send PDF files straight to the printers to produce the hard copy of HSJ and heralding an end to the era of galley prints and repro. It was also at this time that the Institute of Hydrology became the Centre for Ecology and Hydrology. By 2003 HSJ Volume 49 was the first volume to be available as both a print and an online publication, still with six issues per year, and by 2006 Demetris Koutsoyiannis joined the editorial board of HSJ as Deputy Editor. Moving forwards to 2010, and under Zbyszek’s leadership HSJ Volume 55 had grown to eight issues, (1880pp) and production was incorporated into a successful relationship with Taylor & Francis. Demetris was Co-Editor along with Zbyszek, and Frances continued to manage both the peer-review process and production of the journal. Each and every paper was read and copyedited by Frances, and a French abstract was added to all English papers. By 2014, HSJ Volume 59 had grown to 12 issues (2256pp) and with an increasing number of papers for Frances to handle, a backlog began to develop. Mike Acreman joined the editorial board as Co-Editor alongside Demetris and Zbyszek and Frances worked hard to select the right papers for each editor to handle based on their expertise, ensuring that the peer-review process worked as smoothly as possible. In 2015 Demetris replaced Zbyszek as Editor, Attilio Castellarin joined as Co-Editor and IAHS agreed for HSJ to become an English-only publication. In 2016, and with Taylor & Francis by now handling some of the copyediting, Volume 61 of the journal grew to the current 16 digital issues per year. Ross Woods replaced Mike Acreman as Co-Editor, and the ranks of Associate Editors swelled to 40. In August 2017 (HSJ Volume 62), Sara Rafferty joined the IAHS office as Editorial Assistant under Frances’ management. Sara became actively involved in processing papers and working with the peer review system, allowing Frances to concentrate more of her time on the editing and publication of papers. Demetris handed over his Editor-in-Chief role to Attilio, and Stacey Archfield joined Ross Woods as Co-Editor. It has always been a belief at IAHS that scientists from disadvantaged countries should be given help and support to publish their papers internationally, and this takes the form of both language and science mentoring during the review process. This is a part of the IAHS charity mandate and a great deal of time and effort goes into improving these papers, something which could not happen without Frances’ expertise and dedication. Additionally, and alongside her HSJ duties, Frances has also worked on many of the IAHS Redbooks, both in copyediting and production. Thank you so much Frances for all your dedicated work for IAHS over the years. Your input has made HSJ a better journal and helped scientists from all over the world produce highly-regarded scientific papers.